I must admit that I never thought I would be quite so enamored with the return of cargo pants, but I guess the lesson here is: Never say never. Looser fits and utilitarian details suddenly feel like such a cool take on off-duty style. Barely there "floss" heels are the trend I began investing in last year. The bare shoe is a silhouette that feels modern and minimal and, in my opinion, will have lots of staying power. Sure, beige is one of the most talked-about colors of the season, but my closet is already heavily stocked with the neutral shade. Right now, I'm ready to invest in more pastel shades with unique pieces that add some dimension to a look. 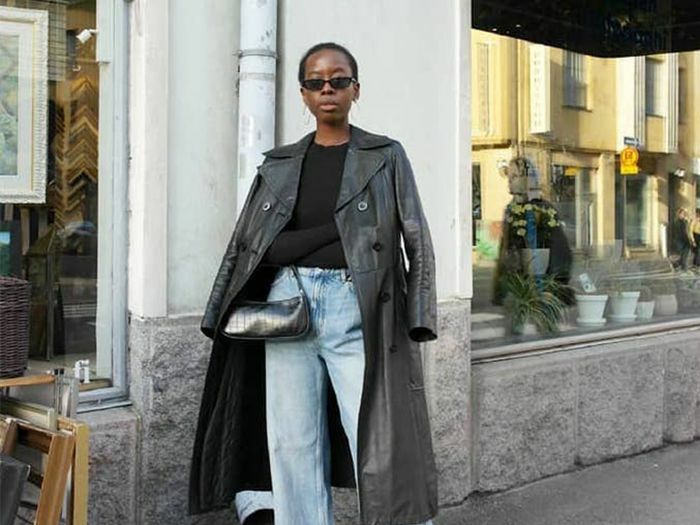 Wide-leg, loose-fitting denim cuts will be everywhere this year, and I'm very on board. These '90s silhouettes will be just one more way I'm wearing more pieces inspired by fashion from the decade. I have a thing for bags, and right now I'm very into vintage-inspired styles with frame silhouettes. I'm currently eyeing up-and-coming brands like Little Liffner and Ratio et Motus. Designer logos are the statement trend I'm 100% behind. From a GG Gucci iPhone case to an FF Fendi swimsuit, I already have some pieces in my shopping cart for the year ahead.